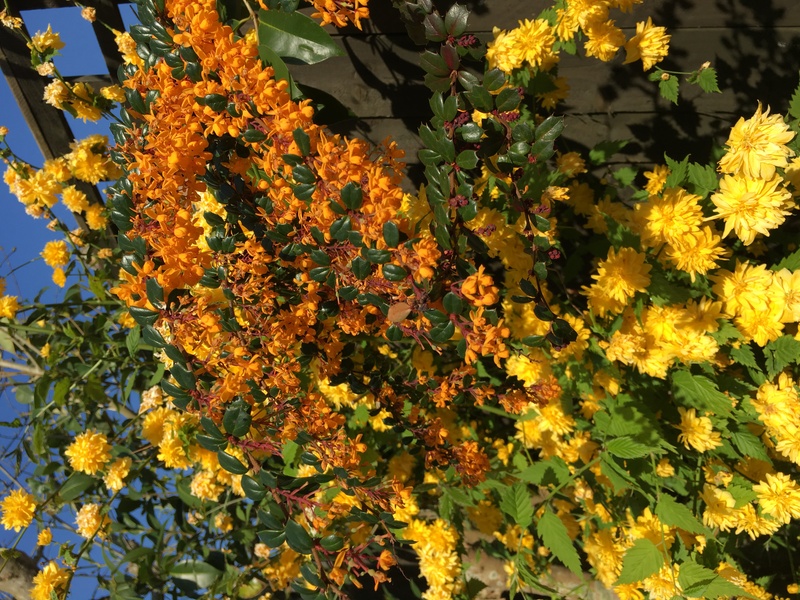 Here’s a wonderful picture of a Kerria and Berberis together…. and with the blue sky in the background it’s definitely the colours of early Summer!! Well we may be a little premature on the Summer front, but Spring has most definitely sprung and our gardens are looking simply wonderful!